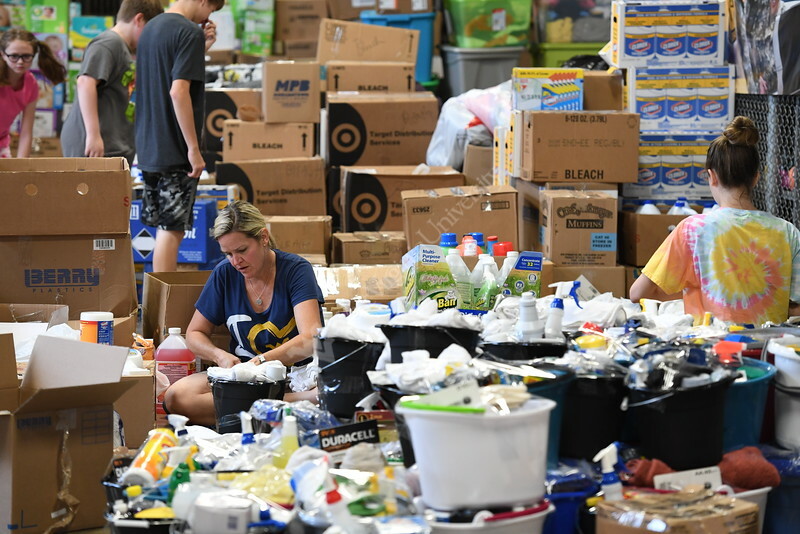 Volunteers sort and organize flood relief supplies at Stansbury Hall. Volunteers sort donated supplies at Stansbury on the downtown campus Monday June 27, 2016. The items collected will be sent to help flood victims in southern part of West Virginia.